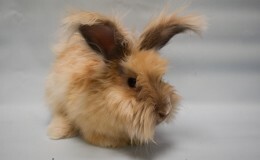 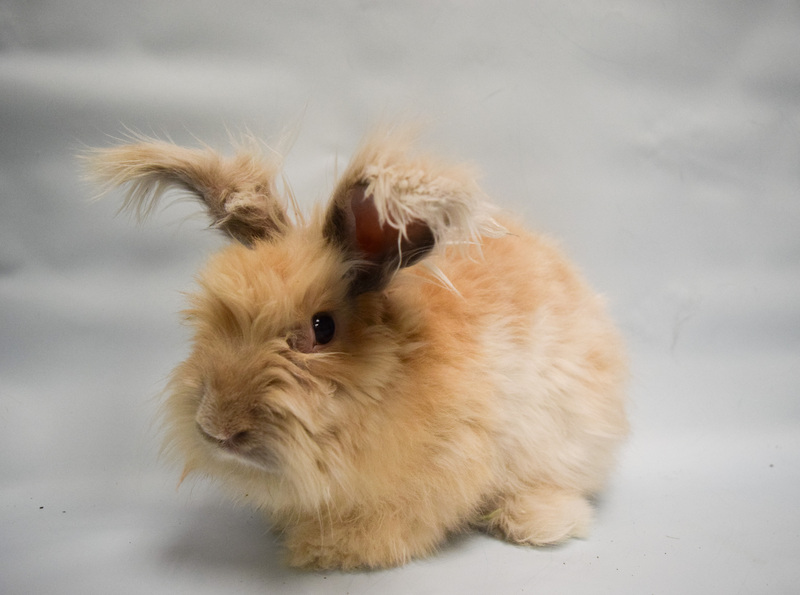 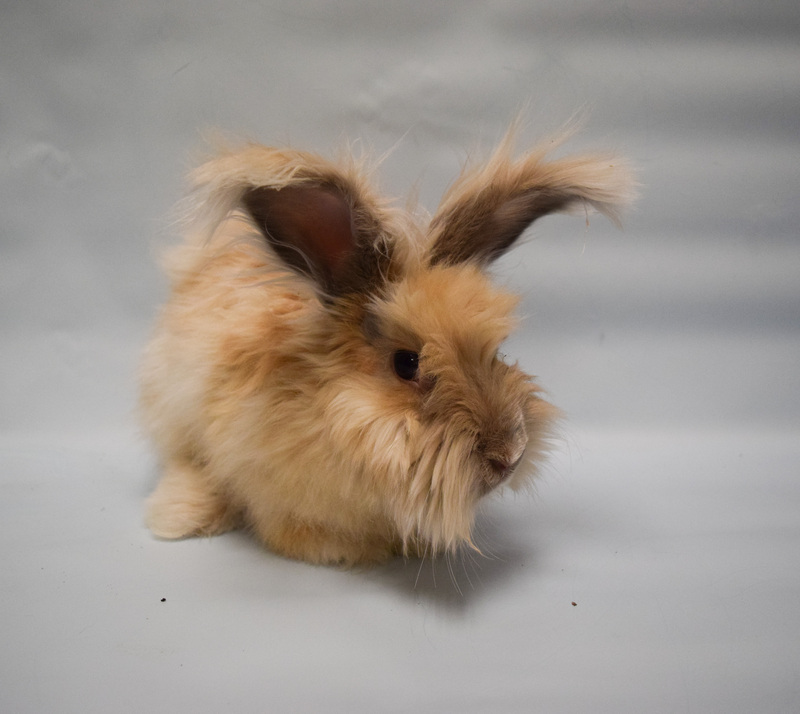 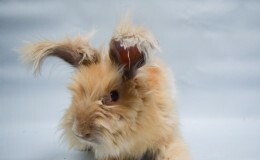 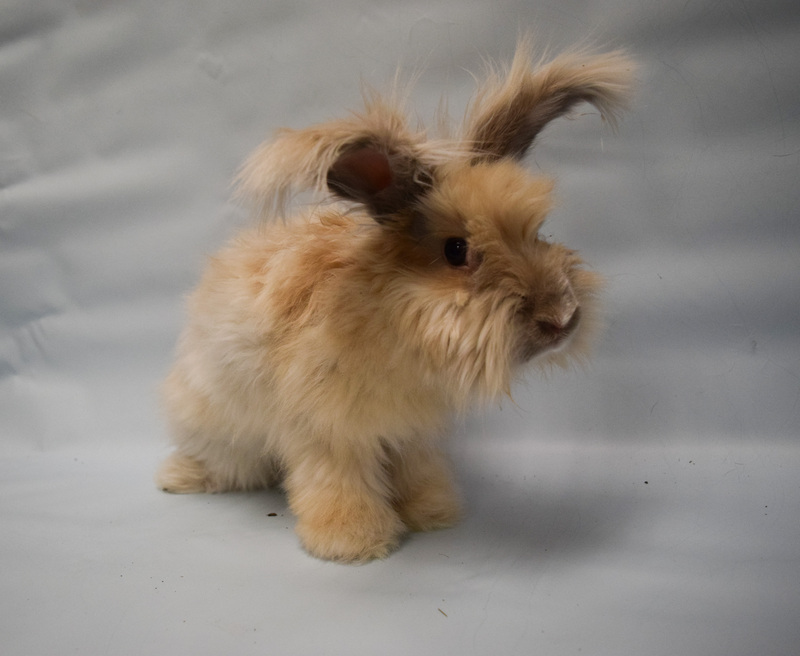 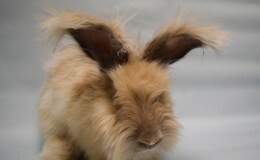 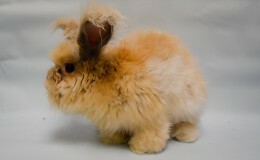 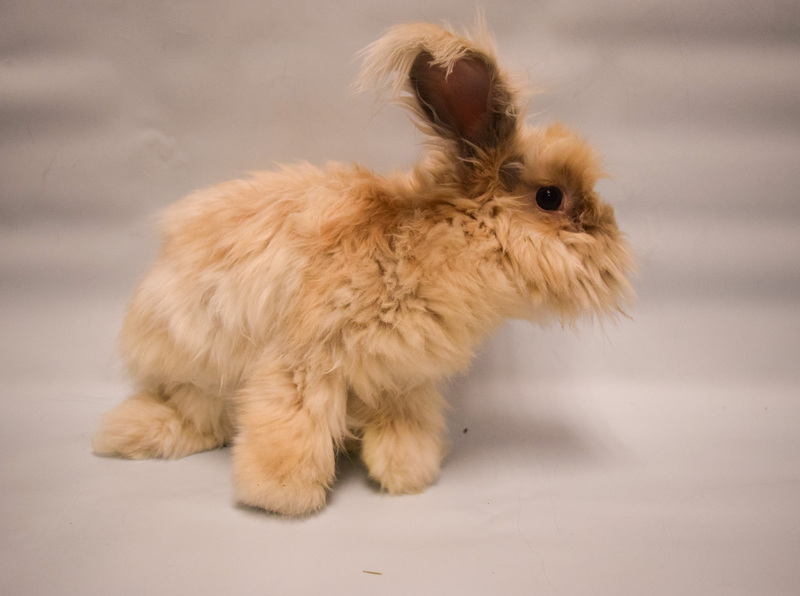 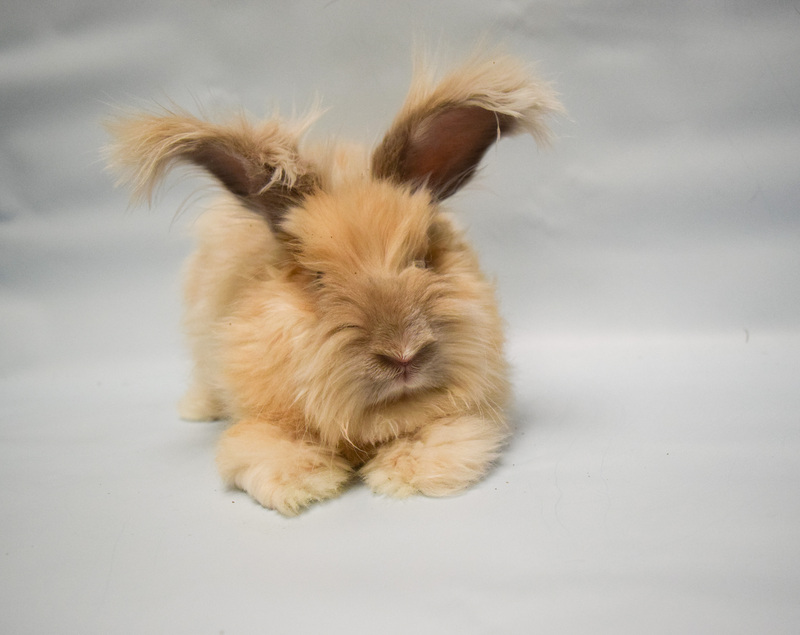 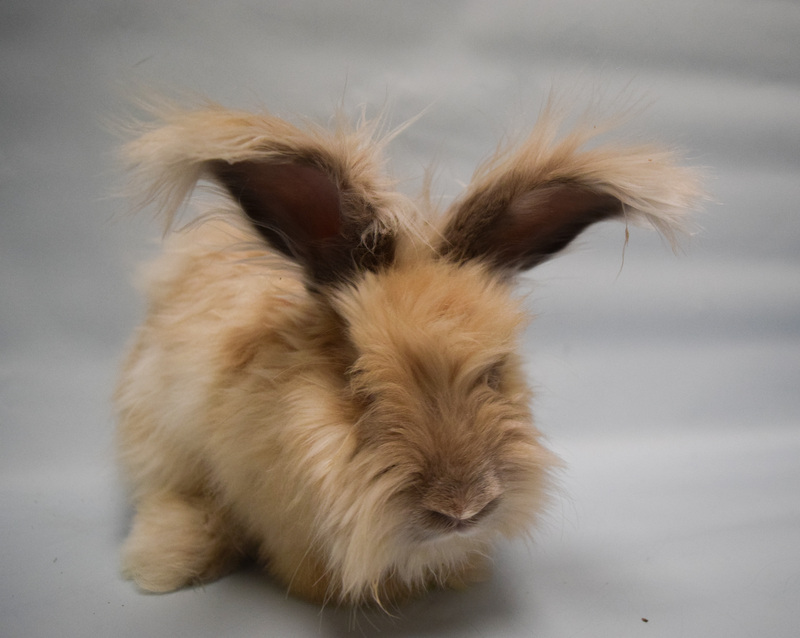 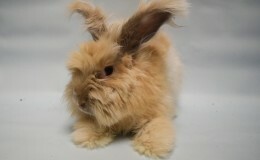 Poppy is a darling Angora. 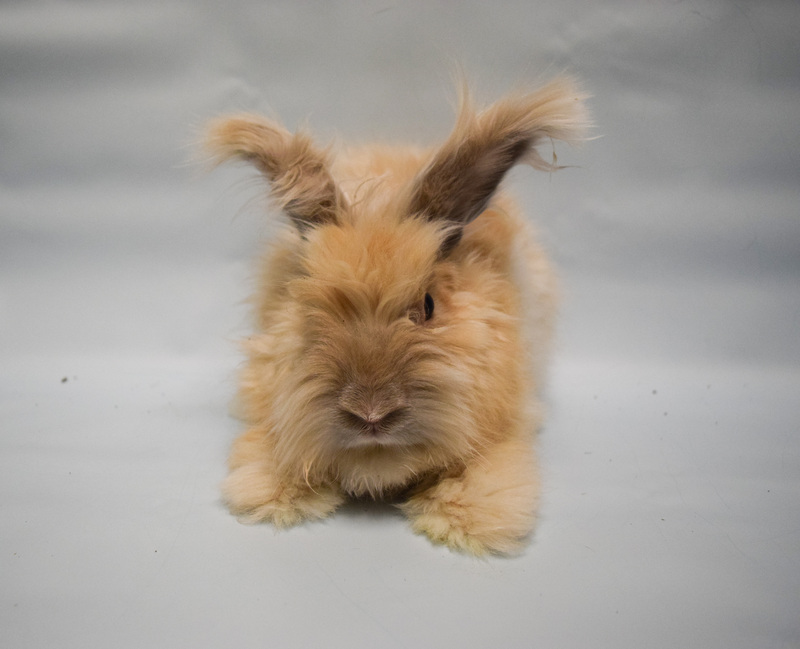 Poppy is a neutered male. 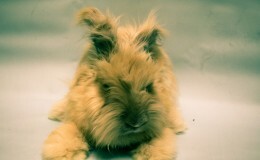 He came from a horrible confiscation case. 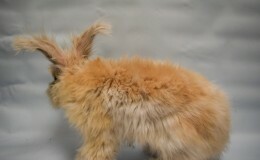 He was found in the back of a U-haul on a very hot summer day along with a lot of other animals. 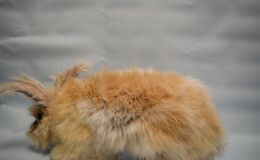 Many of the animals died due to the heat. 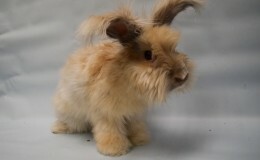 Poppy went on to be fostered in a home where a house fire was started. 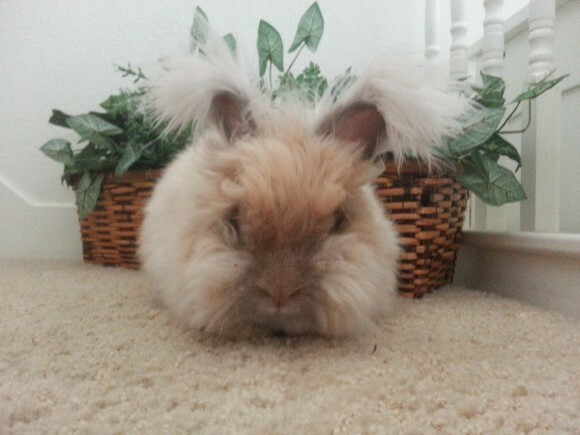 His fur had to be shaved due to the soot from the fire. 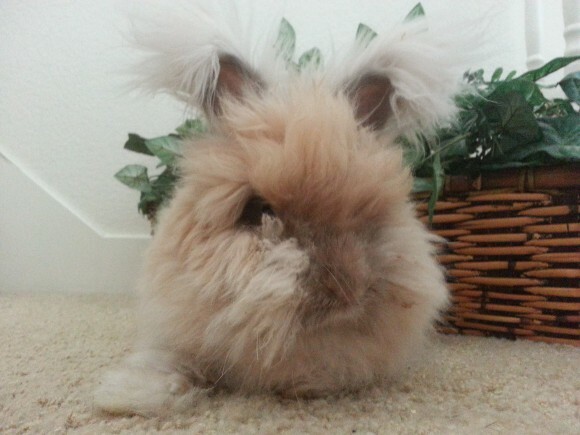 Poppy is a true survivor. 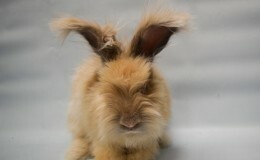 It’s a miracle that he has come through so much adversity. 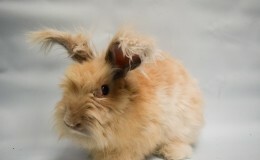 Poppy needs a forever, loving indoor home where he will be loved and pampered. 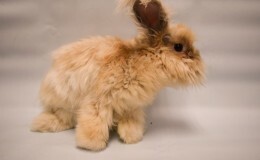 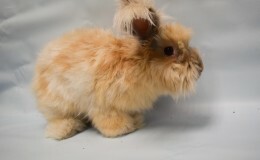 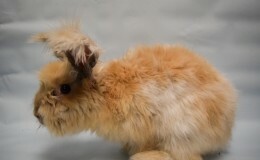 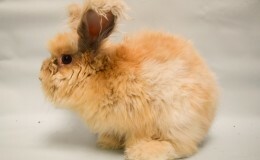 Angora’s require brushing every other day to prevent their fur from matting. 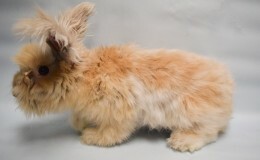 They should be kept inside in temperatures not above 70 degrees. 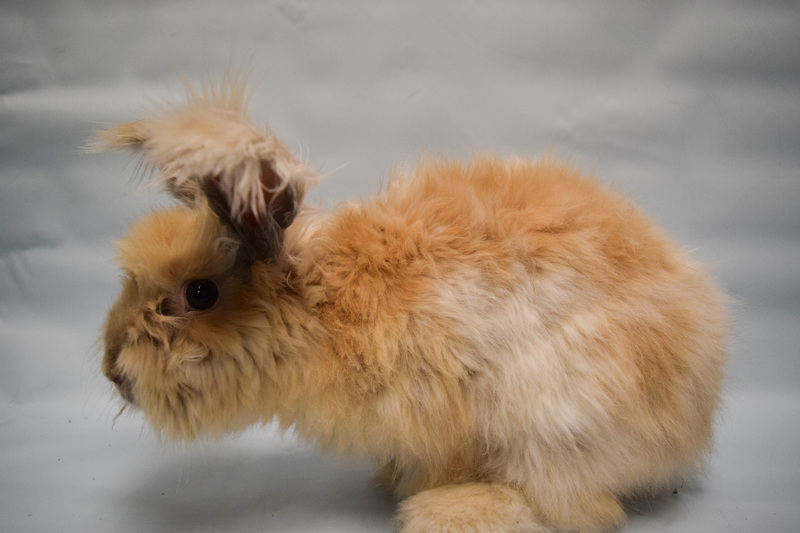 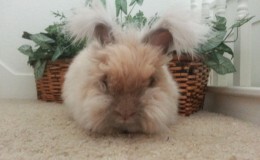 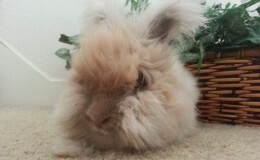 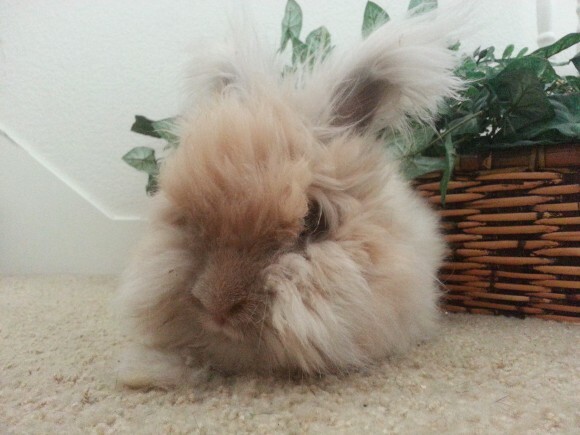 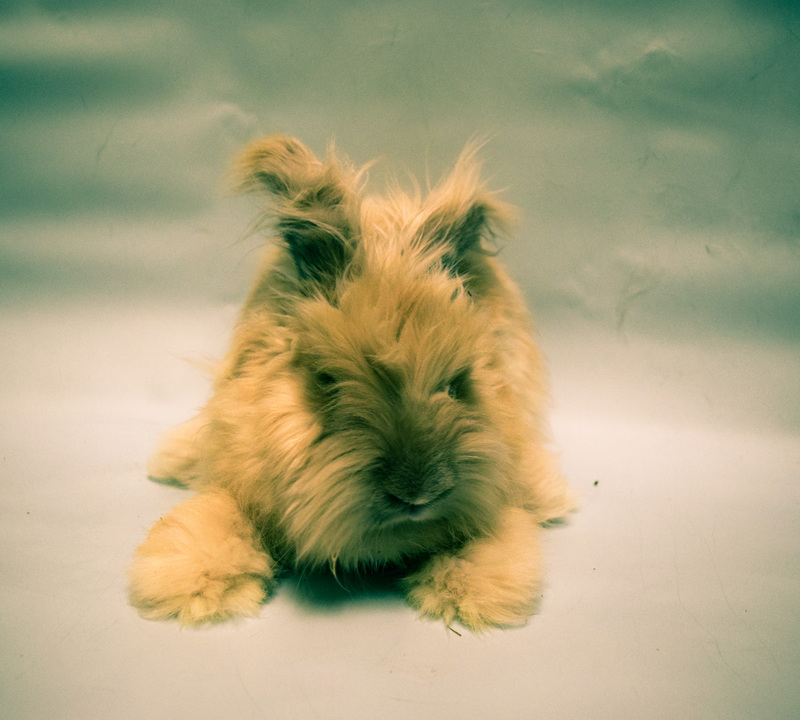 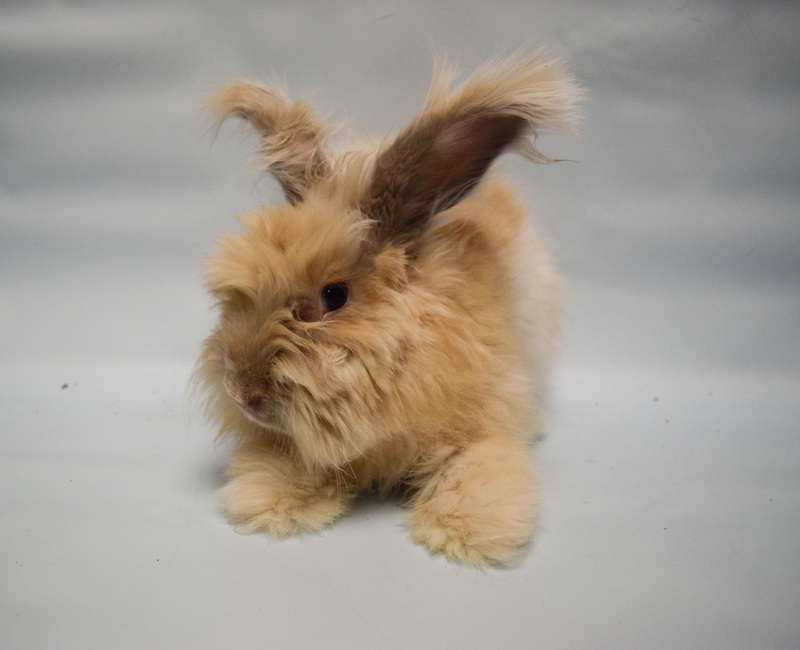 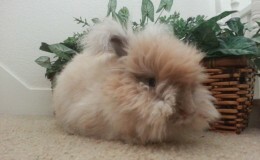 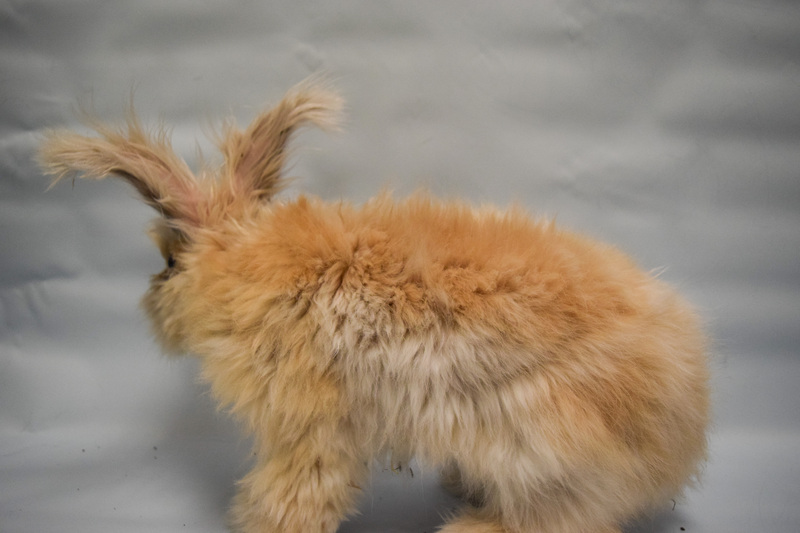 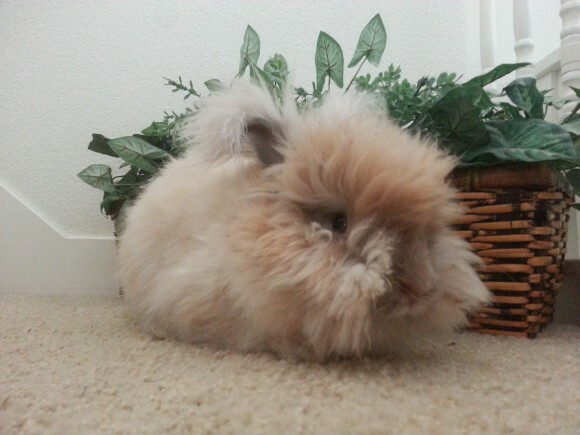 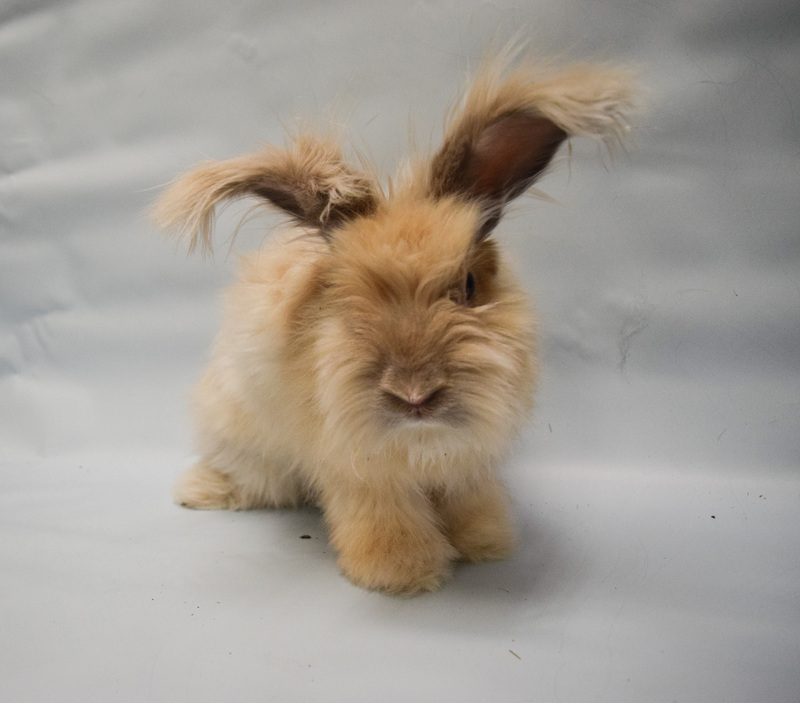 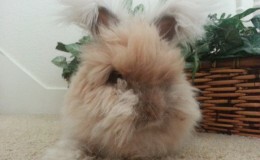 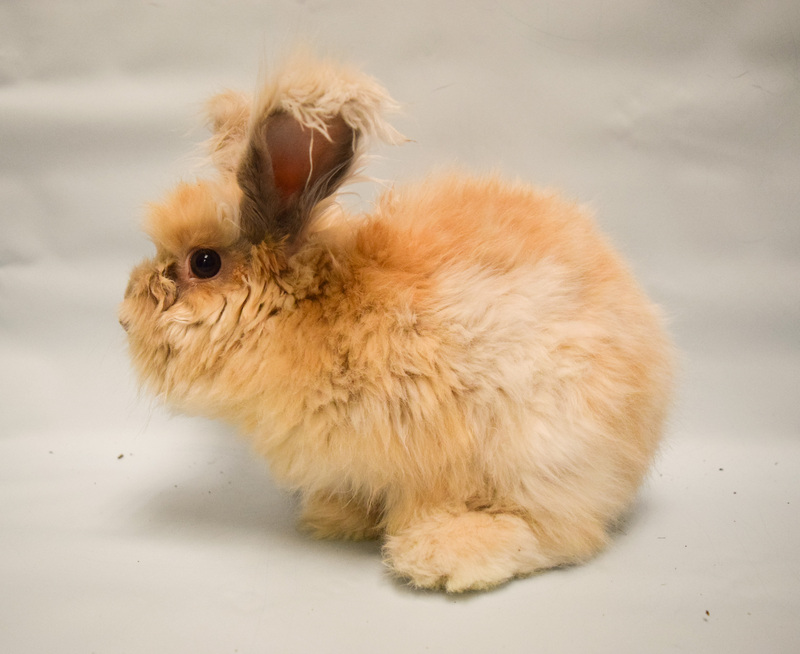 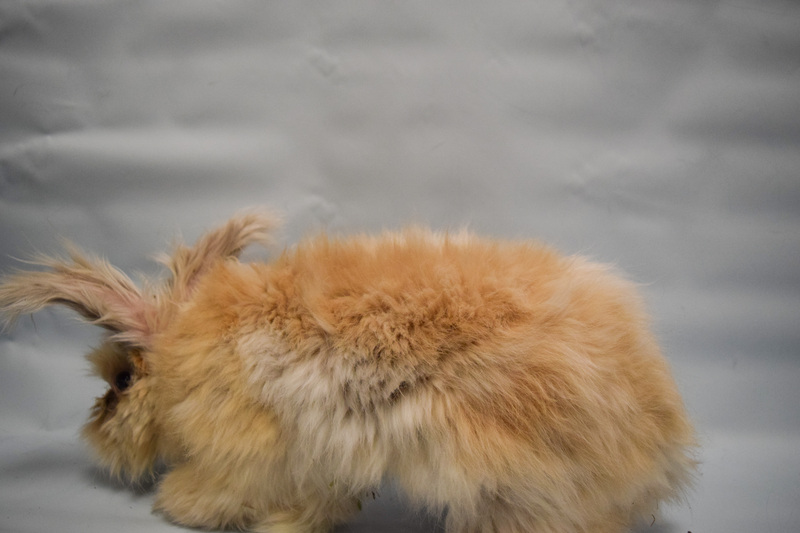 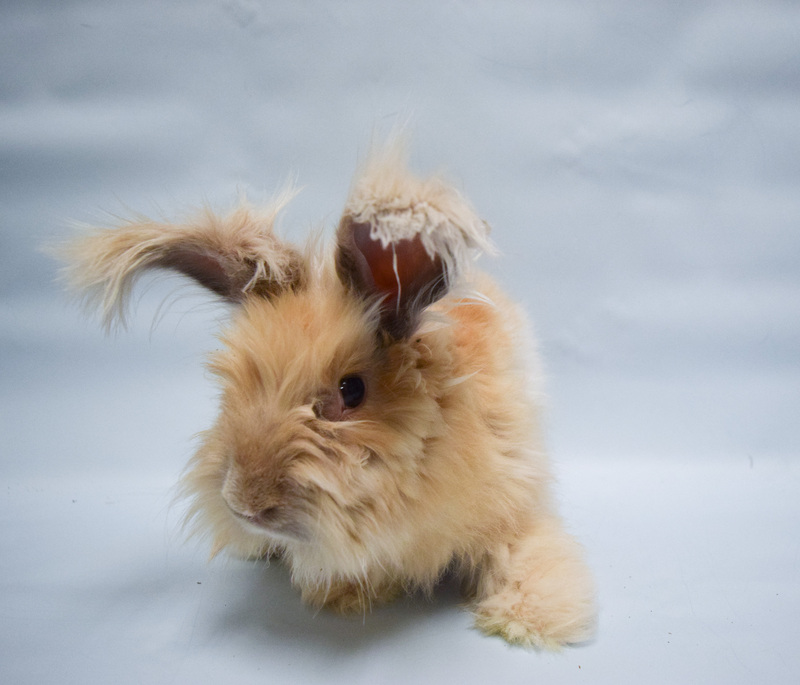 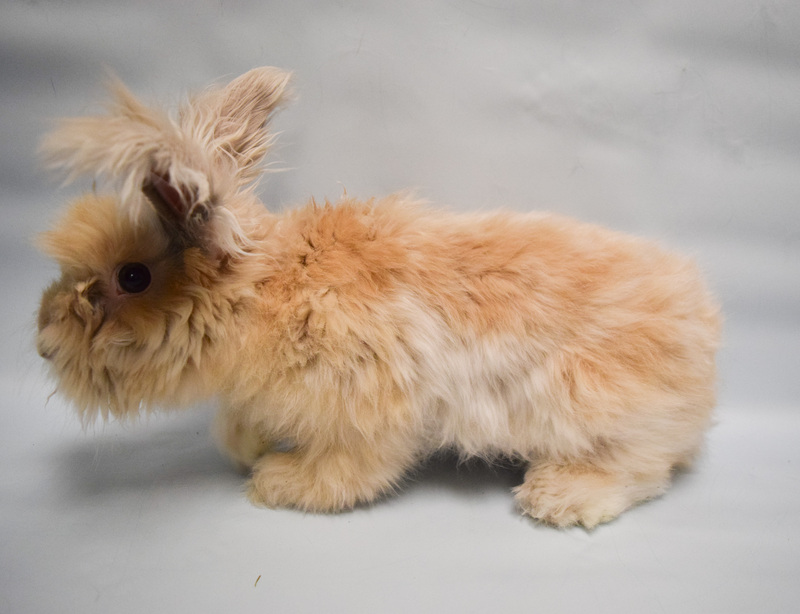 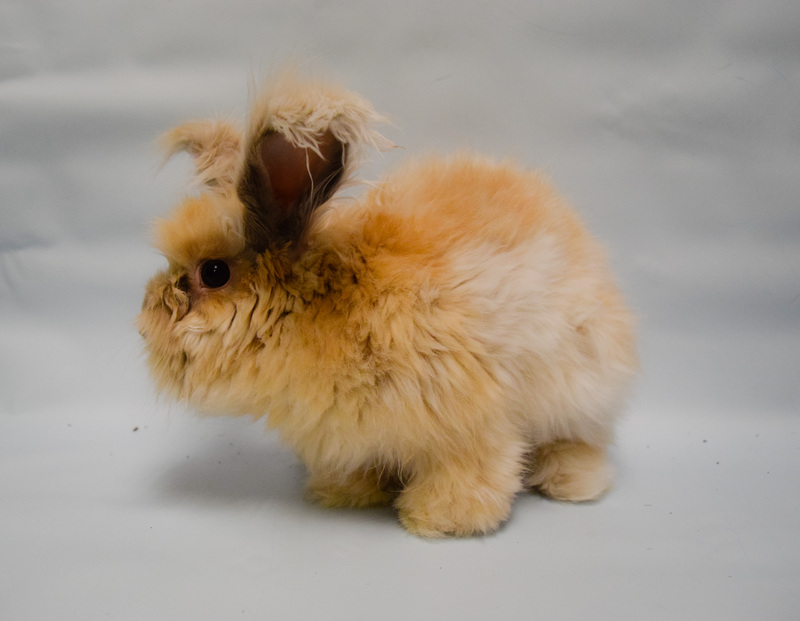 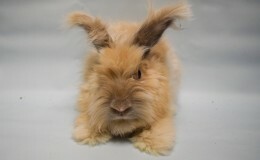 Poppy needs to go to an experienced person who preferably has experience caring for Angora rabbits. 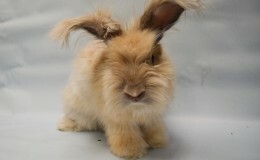 We do not adopt to people that spin. 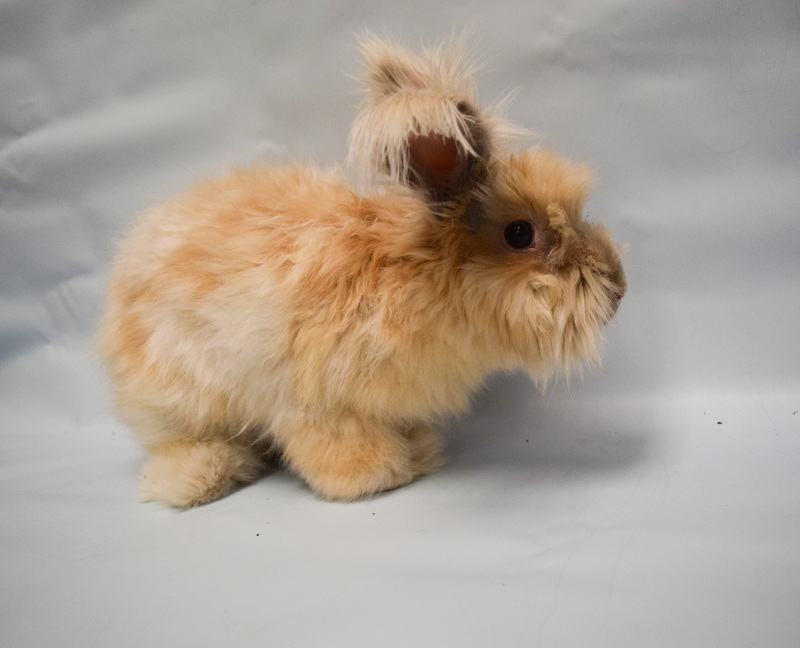 Bonded to Buttercup and Frodo and Adopted 1/2018! 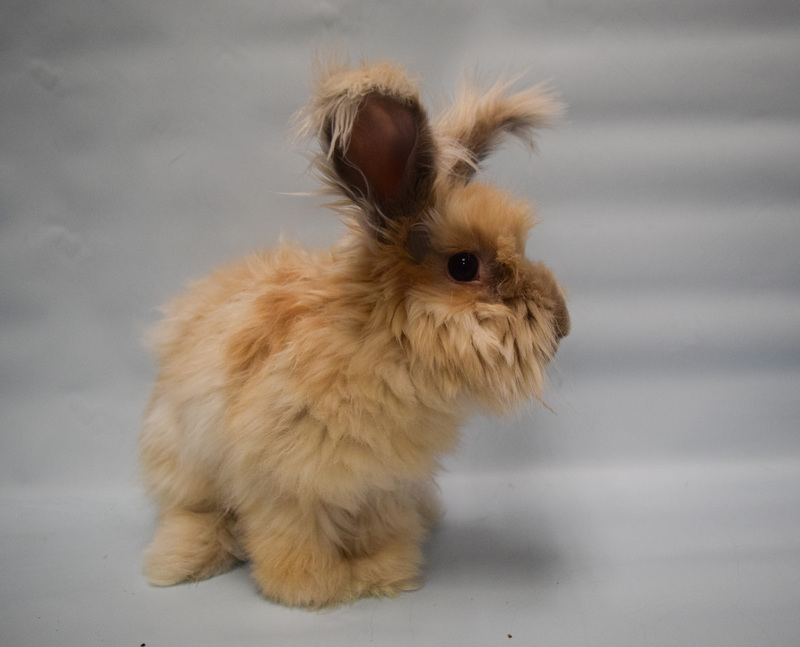 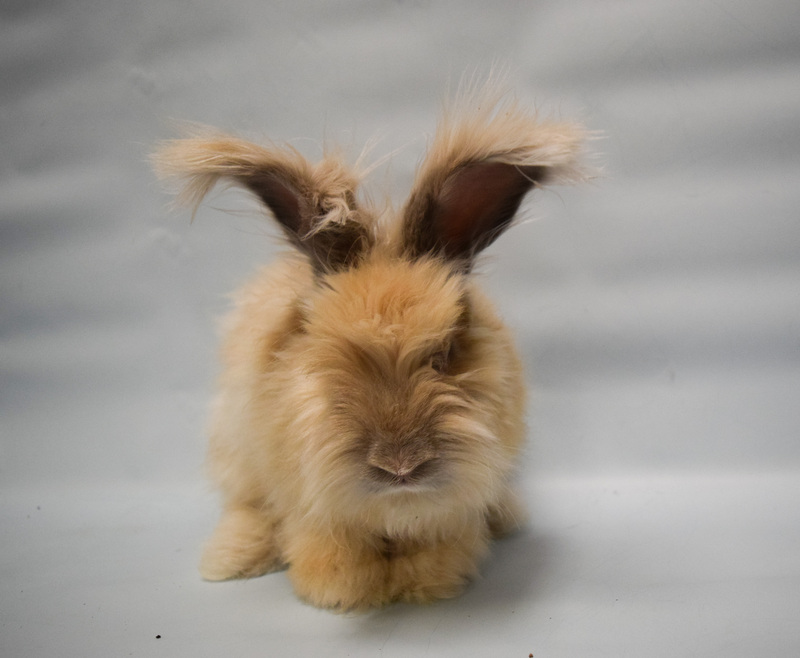 Hi, I’m a previous rabbit owner looking for another rabbit. 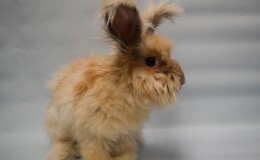 I am interested to know more about Poppy. 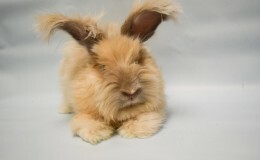 Please email us at teamfur@gmail.com and we will tell you more about Poppy.